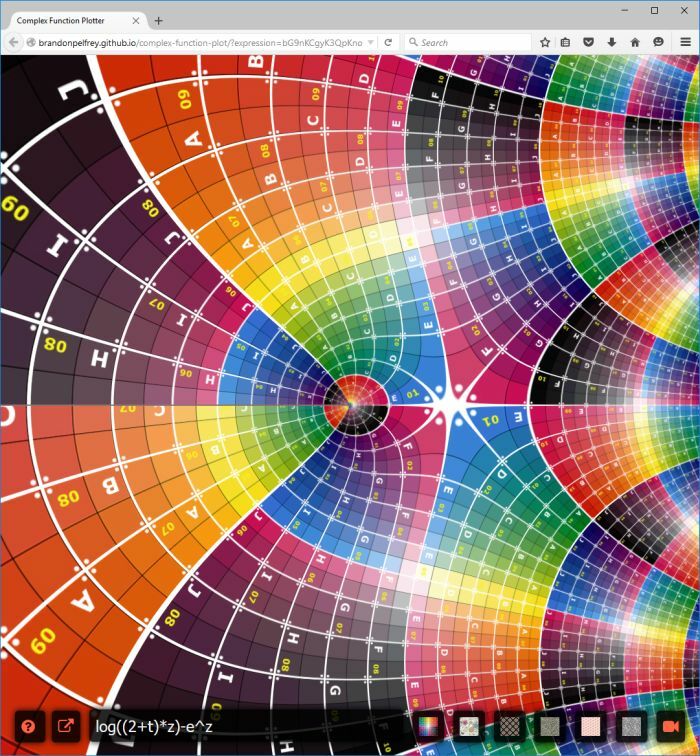 This tool allows you to visualize, in real-time, in a browser, how complex functions distort the complex plane, like in the Conformal Pictures Wikipedia entry. The rendered image is created by evaluating the user-supplied function and then using the results of that function to look up a color in an image which is infinitely tiled over the Complex Plane. By changing the expression in the input field, you can visualize how various functions distort the plane.